Rabb Da Radio 2 is a Punjabi drama film directed by Sharan Art and produced by Manpreet Johal and Ashu Munish Sahni. The film features B.N Sharma and Avtar Gill in the supporting roles. Tarsem Jassar and Simi Chahal have played the Lead Roles in this movie. 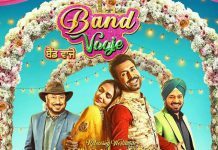 The screenplay is done by Jass Grewal, while the Music is directed by Jaidev Kumar. the movie is released on 29 March 2019. Below this article, you will find details about Rabb Da Radio 2 Full Movie Download and also where to Watch Rabb Da Radio 2 Online. 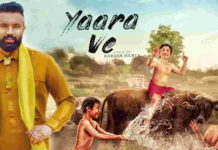 The film follows the story of Majinder (Tarsem Jassar) and his wife Guddi (Simi Chahal) they head to his maternal home. Later, Majinder and Guddi find that things are not the same what they used to be 16 years ago. In fact, the close family bond is now falling apart because of their differences. Eventually, it is now up to Manjinder and Guddi to reunite the estranged family members. Later, when Guddi reached her home, she sees that the entire scene is changing. The family who use to leave happily together has now a fall that describes their hate. As a result, Guddi and her Husband try to get the family back together. During this Journey, a lot of things changes that brings a lot of problem to them. 4-Apr-2019 – Rabba Da Radio is doing great in Abroad and it’s 1st Week total collection is 29,396 NZD,100,208 AUD, and 19,684 GBP. 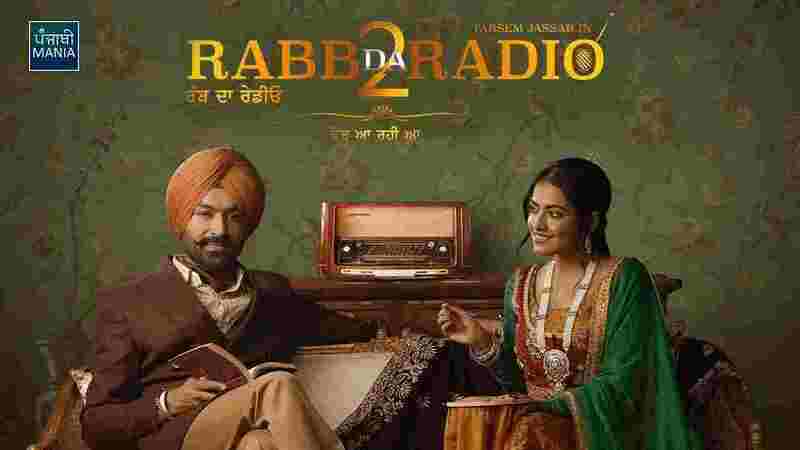 19 Mar 2019– The latest song from Rabb Da Radio 2 ” Tappe” is out and it is a proper bhangra song. 14 Mar 2019– Tarsem Jassar announces two films in a row. One of them will be a sequel to Rabb da Radio and the second one name is yet to decide. 27 Feb 2019- Jatta De Munde the first song from the film Rabb Da Radio 2 is out. 11 Feb 2019– The First Teaser of Upcoming Film Rabb Da Radio 2 released on 10 Feb 2019 and received 949K views on it. 11 Feb 2019– The story of Rabb Da Radio 2 continues from the Prequel. 30 Jan 2019– Actor Simi Chahal Completes her Shoot of Romantic Melody Song One Love Ballad From Rabb Da Radio 2. 27 Nov 2018– Rabb Da Radio 2 is on the Floor But Without Taranvir Jagpal & Harry Bhatti and even the directors are changed. TV Channels may broadcast Rabb Da Radio 2 in a few months of its release. But, before that, some of the legal streaming websites may broadcast Rabb Da Radio Full Movie Download within 90 days or more. If you want to watch Rabb Da Radio 2 then we recommend you to watch Punjabi Movie Rabb Da Radio 2 at your nearest theatres. On the other hand, watching or downloading Punjabi movies from unauthorized websites is against the law. If you caught downloading movies illegally then you will be penalized. Where To Watch Rabb Da Radio 2 Movie Online? We do not support piracy and even we do not encourage you to download or watch the movie from any illegal Streaming websites. Also, watching or downloading Rabb Da Radio 2 from any illegal websites is against the Indian Copyright law. We have verified that Rabb Da Radio 2 is not available on below mentioned legal streaming websites. In fact, we will update you once Rabb Da radio 2 is available on any of the legal streaming Websites. Also, the legal streaming websites, mentioned above can stream the movie only after they get proper authority from Vehli Janta Films, the Production house of Rabb Da Radio 2. Rabb Da Radio 2 is definitely a fun and entertaining Punjabi Movie. This movie has a lot of comedy scenes that will make you laugh. Whereas, the screenplay of the movie is not that great as expected. Overall, the Cinematography and dialogs in this movie are mindblowing. Rabb Da Radio 2 Download? Awesome movie. Really the story was great.the movie give beautiful message love it. Story is just awesome and the actors also had done the fab job. Fantastic and superb movie. I loved the songs of this movie. Best drama movie and concept with a message. Excellent job by the story writter and the director and the cast performed a perfect characters so the is looking awesome. From where to downlod Rabb Da Radio 2 full movie? This story is very beautiful I am like this story specially the name of this story is very beautiful, Rabb da radio. Must seen with family. Good work by the Rabb da radio 2 full movie team and the actors.